Blueberry picking?!?!? In 30 degree weather? Is she nuts (yes, this was in the Summer)? Yup, that was Viv's plan for the day. Thank goodness she relented and took a rain cheque. After an afternoon of sweltering heat at Vandelay's son's birthday at Go Bananas, we were ready to enjoyed the benefits of A/C. Apparently, the A/C failed on the hottest day of the year at Go Bananas. Wonderful. I hope he got a discount of some sort. Now Viv is a persistent person. She still wanted to go blueberry picking the very next day. Fortunately, it was not as hot, but the threat of showers didn't phase her. So despite protests from Costanza and myself, we dragged both families out to save 50 cents on the pound by picking our own berries. Well, it wasn't that bad... Except for the rain, spider webs and bugs. After that, we were famished. So famished, we decided to go for something close by. In fact, one of my favourite restaurants. 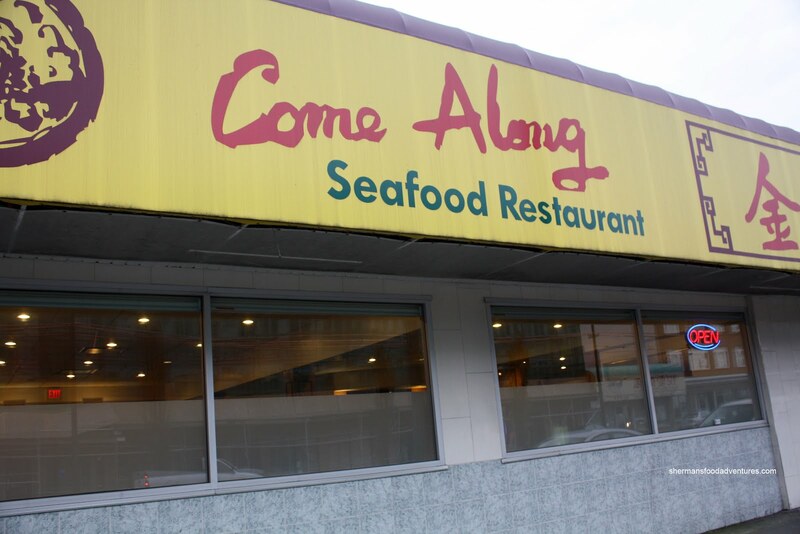 Well, not in terms of food, but for the name - Come Along. Oh I have been chomping at the bit to try their dinner service and to write my post too! So Costanza was fixated on the Crispy Milk while looking at the menu (which had pictures for all the dishes). These were crispy and light, while not being overly greasy. 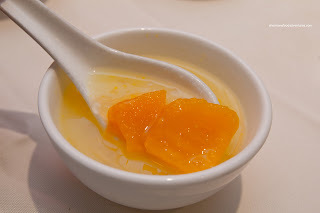 The custard filling was not too dense, yet it wasn't as smooth as I would've liked. It was only semi-sweet which worked fine since there was a side of granulated sugar on the plate. Next up was the first course of the Peking Duck (which was on special for $23.00). From visuals alone, the duck skin had a rich colour and looked crispy. And yes, it was crispy without being hard and the fat was mostly removed. Although thin and easy to separate, the crepes were a touch dry. This was a surprisingly good attempt. 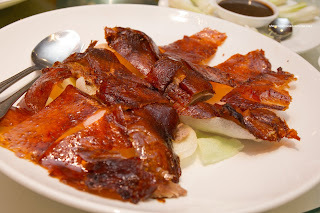 Looking back at our meal at Top Cantonese, their Peking Duck pales (literally and figuratively) in comparison. The second course, the Duck Lettuce Wrap, was also very good. The veggies were still crunchy while there was a good amount of moist duck meat. 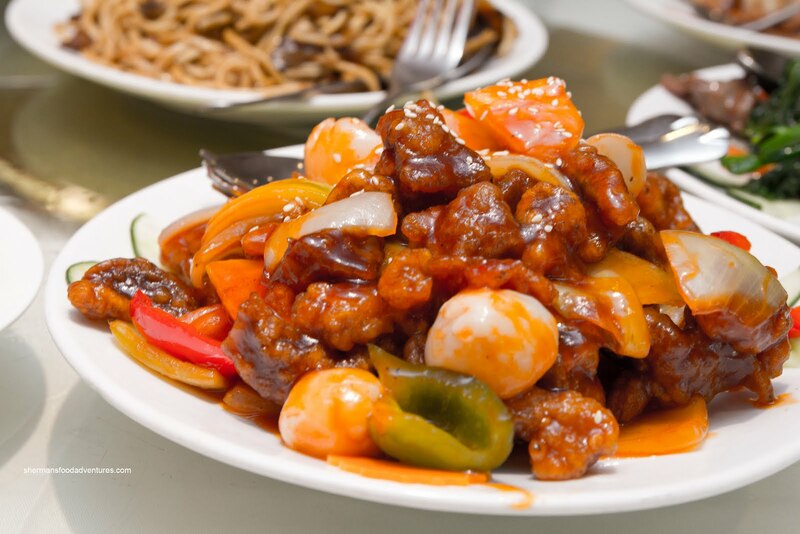 Combining for an appetizing colour was the use of dark soy and good wok heat. This in turn also produced good depth of flavour. 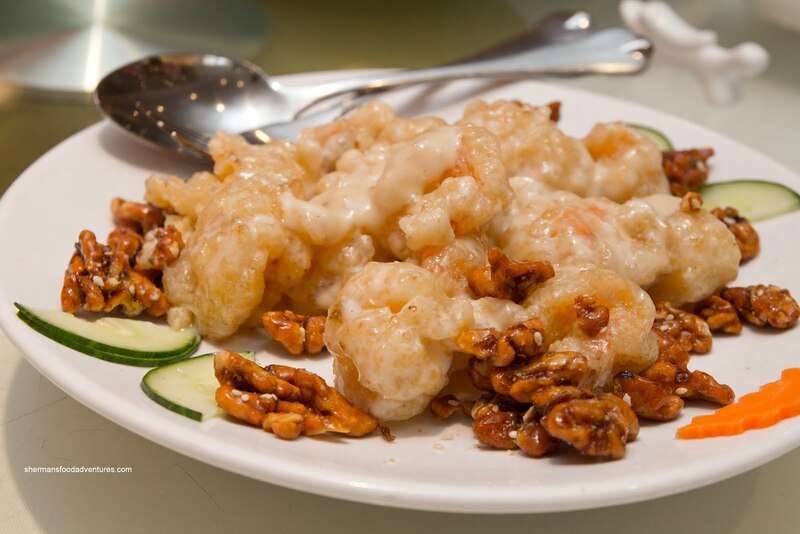 Although I am not a huge fan of mayo (must... resist... making... inappropriate... joke...) in any of my Chinese food, I generally make an exception for the Honey Mayo Prawns and Walnuts. When it first arrived at our table, something didn't look right. They forgot to plate the walnuts! This was quickly corrected but the walnuts were a bit stale. Texturally they were fine, as well as the sweet glaze, however, the nuts themselves were stale. On the other hand, the prawns were large and crunchy. The batter was laid on a bit too heavy as it became gummy. There was just enough sweet mayo to coat each piece. Originally, we were determined to order the Peking Pork Chops (a lot of meat, we like that...). However, we spotted the Sweet & Sour Pork at the table beside us (who were not Asian which doesn't really mean anything, but stay with me here). It was a really large portion and the nuclear red tinge was especially attractive. So we went ahead and changed out minds. When it was presented at our table, it looked noticeably smaller (it was still a good size though). Was there different sizes for Asians and non-Asians??? LOL... Hey, we love Sweet & Sour Pork too!!! Sadly, the pork looked better than it chewed because it was kinda tough. They had obviously refried it and it got dry (many restaurants pre-fry their pork so that it would take less time to prepare later). Dry pork aside, the sauce was balanced (between sweet, sour and savoury) and there was just enough of it. We also liked the addition of sweet canned lychees. 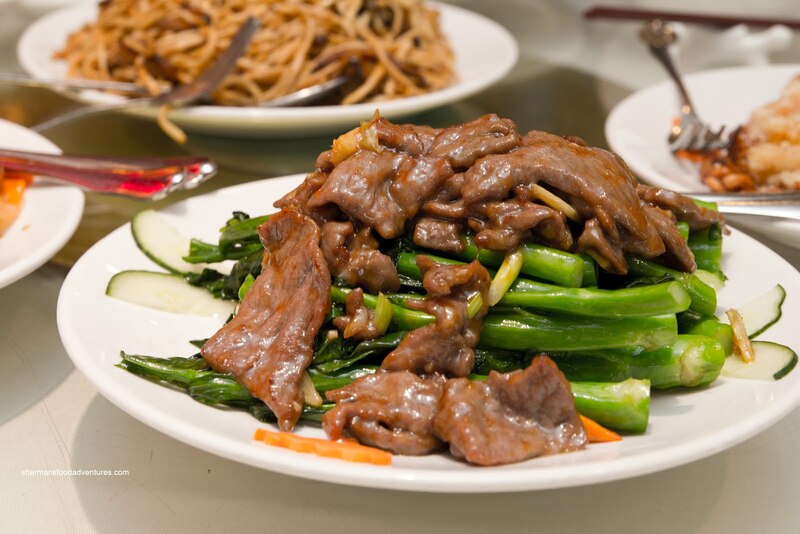 Another classic item we got was the Gai Lan with Beef. The gai lan was vibrant in colour and crunchy texturally. The slices of beef were tenderized properly being tender while still retaining a meatiness. 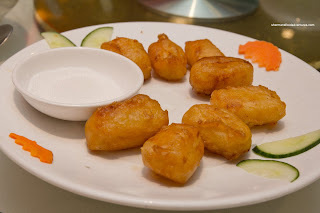 The liberal use of ginger was nice as it helped somewhat alleviate the saltiness (and greasiness) of the dish. For the kiddies, we got the Yee Mein which are egg noodles that have been deep-fried then rehydrated. 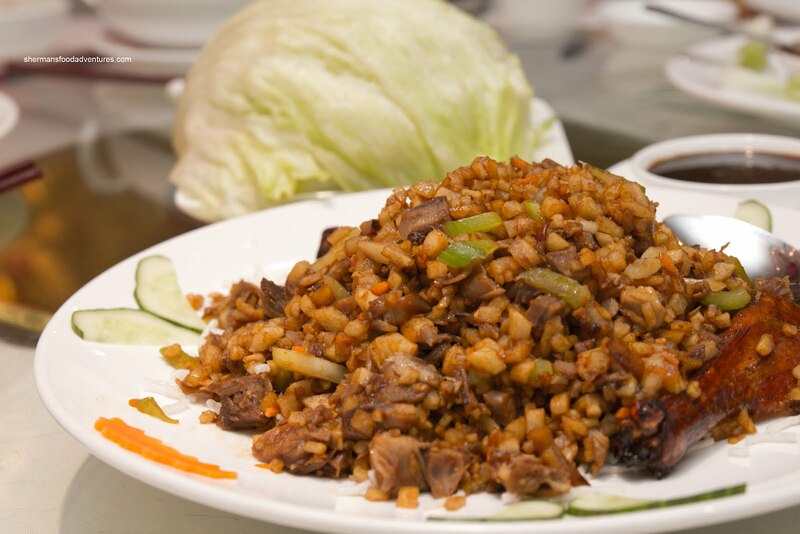 We got the classic dry wok fried version with shiitake mushrooms. 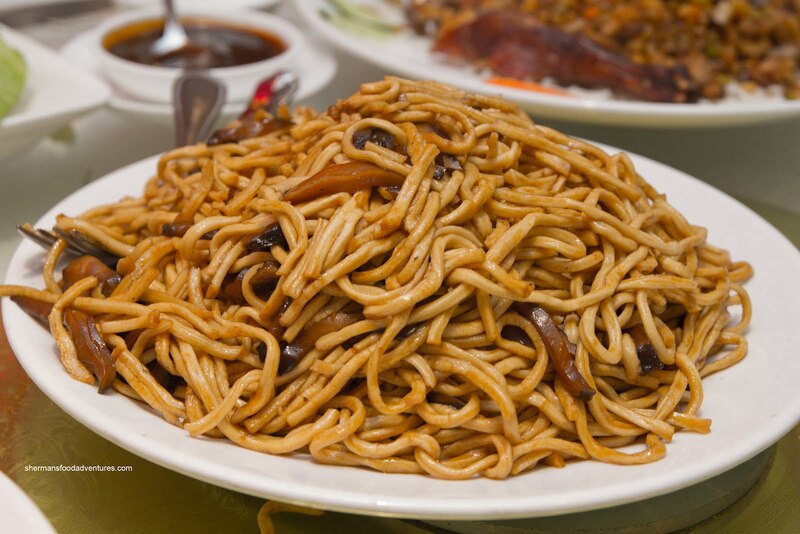 The noodles were done nicely where they were still chewy with an elastic quality. Again, there was enough wok heat in combination with dark soy for a pleasing colour and flavour. There were lots of mushrooms which added both texture and another layer of taste. Lastly, for dessert, we didn't get the red bean soup (thank goodness), rather, it was the Tapioca & Pumpkin Soup. Nothing particularly great about it other than it wasn't red bean! Hmmm... I made it through a whole post on Come Along without cracking a joke... Until now... Costanza remarked that that, "If we go down next time, we should go down together" in reference to the States. But that only brought chuckles and smiles... Thank you Come Along. Just tried to make a reservation for Sat based on your Peking Duck review here, but they are full. Do you have any recommendation for other places that does a good Peking Duck? @Junerose Go to Koon Bo or Red Star! Thanks, Sherman. Read your review on Koon Bo, made a reservation, and we are going to order some of the stuff that you ordered. It all looks so good! You mentioned in your review that they are a bit pricey. Do you remember how much their two course PK duck was? @Junerose I don't recall but it shouldn't be anymore than $30 for 2 courses.